The left in British politics have been facing accusations of anti-semitism since Jeremy Crobyn was elected leader of the Labour Party. We now see similar accusations thrown at the new President of the National Union of Students. In both cases, the language that these individuals have used has thrown fuel on the fire. Far too often people use 'Zionist', 'Israeli', and 'Jewish' interchangeably - and far too frequently in a derogatory manor. Shamefully, they often don't even understand the difference between these terms. On the flip side, sometimes people can be too quick to call 'anti-Semitic' therefore diluting the impact of a very important term. In complex, sensitive, and sometimes highly political situations, the words you use can have just as big an impact as the actions you take. So choose your words carefully. I hope that the new President of NUS will choose her words more carefully in the future and that her actions reach out to the whole of the student community. Otherwise the allegations being made against her may stick for the rest of her career. 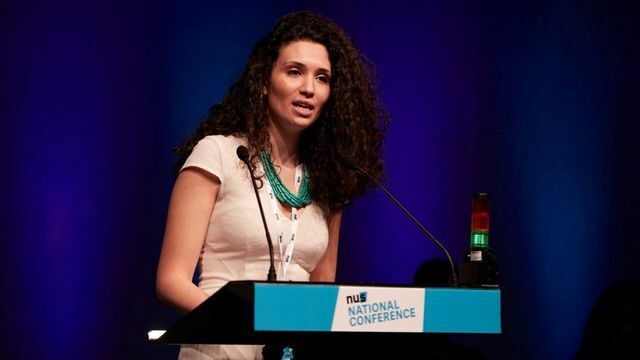 Ms Bouattia has been accused of making anti-Semitic remarks - including calling the University of Birmingham "something of a Zionist outpost". She has insisted her argument was political rather than one of religion.